I don’t know of any private hospitals here. But each province is different. There are some private enterprise clinics nibbling on the edges of the universal system. It seems most likely that he paid for a luxury version of our standard care in a normal hospital. I don’t know the details though. But, I can guarantee that any doctors he dealt with also serve the public here. The only practical difference in his care was that he paid for a priority service. The hospitals in Canada are private the health insurance is public. But they are the same hospitals that Garry would have gone to for his surgery and had the government insurance pay for the treatment. The only reason Rand Paul had to pay for the surgery is because he isn’t a Canadian citizen. I believe our hospitals are all publicly owned. At least here in Manitoba all hospital facilities are run by the RHA’s, regional health authorities. They receive their funding from the governments, provincially I believe, from federal transfers. Each province runs it’s own show though, so there are variations across the country. But I do believe that unless it’s a laser eye surgery clinic, or some special practice flauting the universal system, it’s all publicly managed and funded. Physiotherapy, and some specialties are exceptions. In principle it’s a violation of the Canada health act to provide a covered service privately. The doctors are still private practitioners, but the principle is single payor. In the case of someone like Mr Paul, they are free to provide service for whatever price, as he’s not covered by the Canada health act. Hospitals will often promote such arrangements, as it’s a great revenue stream. Nurses and other health care providers and staff are employees of the RHA’s. I should mention - at the provincial level there are specialty health organizations, like Cancer Care Manitoba, which organize best practices and procedures amongst the RHA"s, sort of like if the Mayo clinic directed therapies and protocols regionally. The system works quite well. Of course, never as good for someone like Mr Paul, who can lay down any amount of cash to be served first, regardless. I know what you mean about going bank rup, i sliced my finger on the 4" high speed hand grinder few years ago, my nuckel was out of place, though for 7 hours waiting for dock too wake up for work, i got 7 stitches for just over 10.000 bucks due too going too emergency room charge, for seting in there waiting rooms 7 hours. Thankfully after thanking them for there excelllent service, and telling them i had no money like that, they droped the price too zero. Rare things happen now and then. Other than that its a bit of a racket. Wow, sorry to hear of your experience, and glad it worked out for you. I would be devastated to have a bill dropped on me like that over a simple accident. I have a similar example, but Canadian version. Some years ago my son got invited to a birthday party at a hotel with a waterside. I hadn’t dropped him off long, and I got a call. Somehow he had bashed his head on a steel rail poolside, and needed stitches. Off we went to emerg, on a Friday night. After a couple of hours wait, he got 6 staples to close the gash. As it happened a trauma surgeon was handy after some other call, so the attending physician called him in to consult and examine. He assessed it as no greater worry. Our cost - zero. Already paid by the people of Canada. 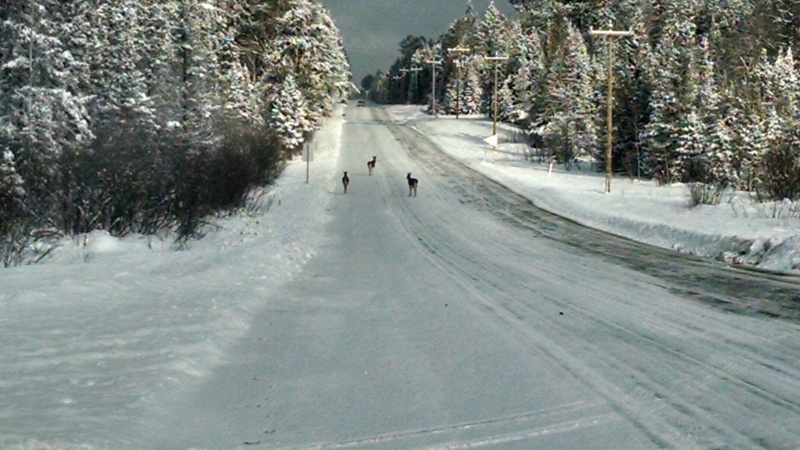 There’s so much snow, even the deer wait for the roads to be plowed to get around. I’m very satisfied and proud of our system, and the vast majority of Canadians think the same. People here couldn’t afford your system, it would be bankrupting for far too many, and leave the less fortunate out in the cold, which people here would find offensive. We consider health care a right of citizenship. I believe the reason for not treating me for months (local doctors) is that they can generate a lot more money the sicker the patient is. The other local hospital was sued for charging medicare for unnecessary operations. Almost 30 years ago one of my neighbors had an operation in Canada. Cheaper and higher quality. Later his wife did the same. I was going to send this link to Billy Alabama because of his involvement in the Congo. It is just too good, too amazing to skip posting it to the group. Just a note from northern mich, Woke up to minus 26 degres F saturday morning its been cold and snowing every sense. There are warnings for snow storms and wind and chill facters as low 35 below zero for most of mich. tomorrow.The south is starting to look better and better. Yeah and its going to be 40f and rainy on Sunday. lol. Pure Michigan!! Here in Alabama it was in the mid 60s yesterday and sunny. Today it is near freezing and windy. Stay warm and dont worship the wood heating stove too much, it got hot in my old trailer last night, and had too let some cool air in too breath.And there is a lot of stumic flu floating around robbing energy. I am michigan man location near saginaw.Got about 8" snow last night and drifting, actually we have had less snow than long time so far in this area. Good thing the wind died down. 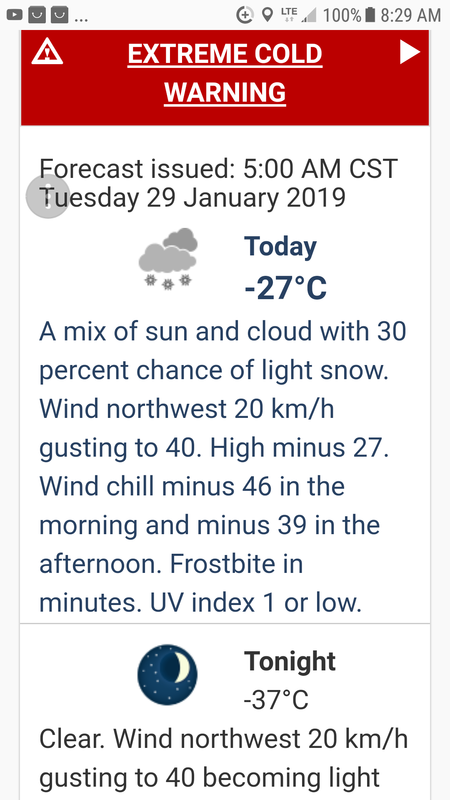 Yesterday they were saying a high of minus 30, we’ll see how it goes. If it is minus 30, that will be the coldest daytime high in over 20 years. Well if your looking for a wood pile to raid you better being a chainsaw because my wood shed looks sadly empty at the moment. Seems like there are too many other things robbing my time lately. An old friend who worked for my grandfather stopped in a while back and said he could remember when they kept that woodshed full right to the very front. I just thanked him for reminding me how far behind I am. Garry, -37 is no fun. That’s when there’s no point trying to get anything done but feeding the fire and read a book. Agreed Jo. Even the dog isn’t spending leisure time outdoors. Weather like this does highlight how good doors and windows are. 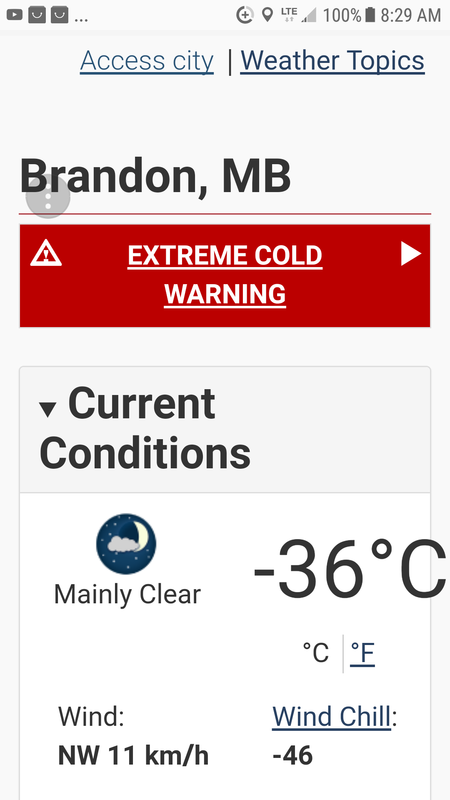 It reached minus 30 for the high. Someone looked at the stats, the last it was this cold for a high was 2004. Hard to believe in 3 1/2 months I’ll be planting potatoes in a t shirt. Um, we have really good soil and growing conditions, and the cold kills all the nasties?.. It makes for great ice fishing conditions when you have over 3ft of ice on the lakes… ? It’s sunny in the winter cold? Days are longer in the summer, sort of like saving up?..